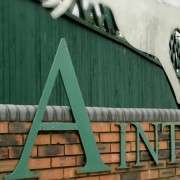 From Champion Trainer Nicky Henderson's yard comes Triolo D'Alene, who's odds were short enough to initially have him as the ante-post favourite for the 2014 Crabbies Grand National despite being only 7 years old at the time and that was before the weights were announced! The BHA Handicapper didn't seem too concerned with the fact that Triolo was only seven and promptly burdened him with a weight of 11-06, the fifth highest given out at which point many punters were put off by the uphill struggle that was about to face him. His reputation now proceeds him and along with a big jump in his Official Rating came the heavier weights. 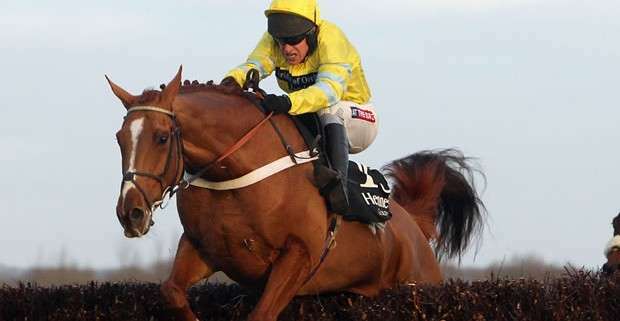 Prior to the 2014 National he had only run off 11-06 or more twice and when winning the Hennessy Gold Cup at Newbury, back in November 2013, he was only on 11-01. It was at this point his odds were slashed when trainer Henderson decided to announce that although the win was fantastic, jockey Barry Geraghty had hoped to keep him for the National and that protect his mark, which of course didn't happen. His odds were as short as 20/1 ante-post for the National but he'd just come back from a run in the Cheltenham Gold Cup where he could only manage 10th place from 13 runners. He was definitely a contender for Henderson and won the Topham Chase in 2013, which is also run over the Grand National fences, so he certainly likes the course. 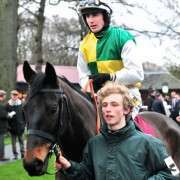 Unfortunately jockey Barry Geraghty pulled Triolo D'Alene up at Bechers Brook on the second circuit but he is a terrific horse who has won and/or placed on ten of his 16 chase starts and has racked up winning in excess of £230K. 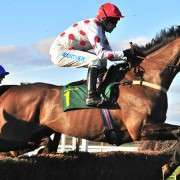 Another year older and another year wiser and at 8 years of age he could once again be a prime contender for the Grand National 2015 if he takes his chances.